Indulge in the irresistible Van Wyk Sweet and Salty Pretzel Rods. SImply perfect! 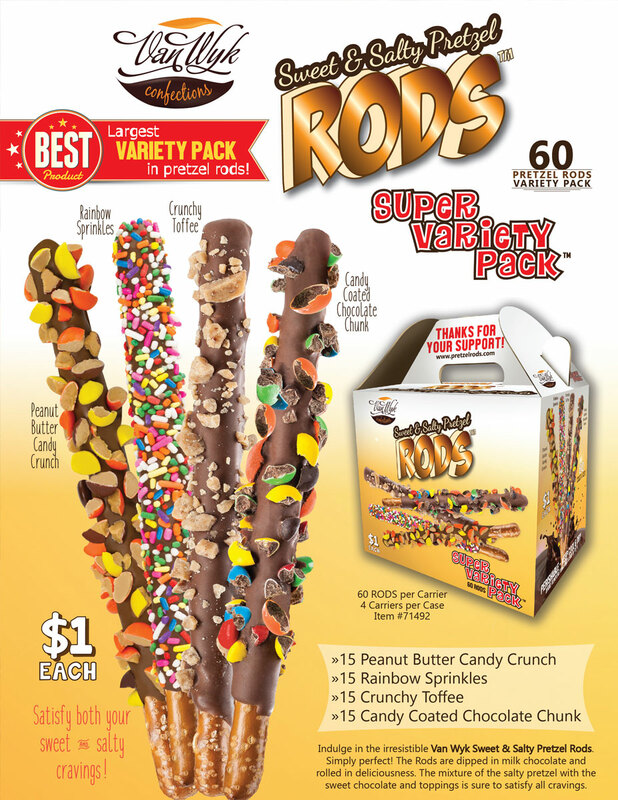 The rods are dipped in milk chocolate and rolled in deliciousness. The mixture of the salty pretzel with the sweet chocolate and toppings is sure to satisfy all cravings.